Kustom Building Services are based in the North West of Sydney. They specialise in extensions, renovations and new homes, from conception to completion. Kustom Building Services consistently exceeds client’s expectations, with a reputation for high quality service and superior workmanship. The result is a finished product of exceptional standard. 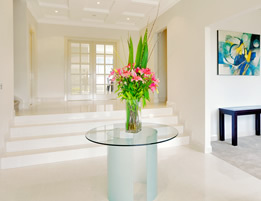 Attention to detail and personalised service are the keys to our success. The needs of the client are our priority and communication our goal. Kustom Building Services are happy to quote on your existing plans or alternatively introduce our architects to work closely with you, turning your ideas into reality. We aim to provide a comprehensive building experience.